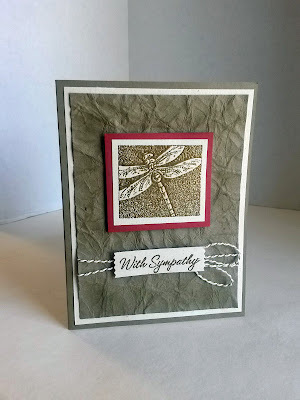 From now on, in my blog posts, I am going to attempt to teach you something different about papercrafting, whether a technique or just a different way to do sommething. At times, I may revisit a technique. At other times, I may deviate from this promise, and maybe just post about something I'd been working on. But I really want you to GROW from reading my blog. I want to plant those Paper Seedlings, and help you to watch them grow into beautiful creations. Today I want to share with you a really wonderful technique, one that looks great and impressive, but is REALLY simple to do. 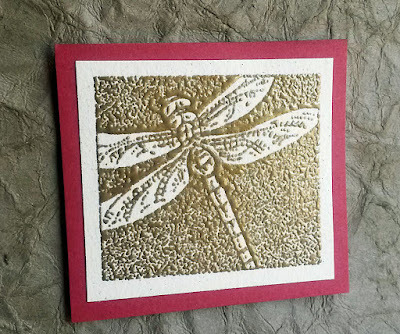 Once I had my paper leather created, I incorporated it into a card. 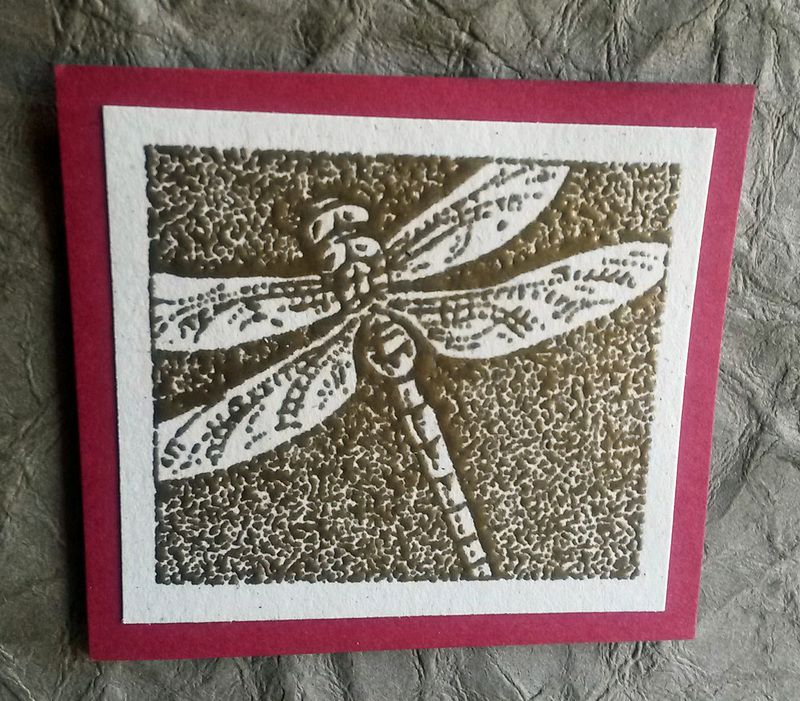 I gold embossed a beautiful dragonfly and used that as my focal point. 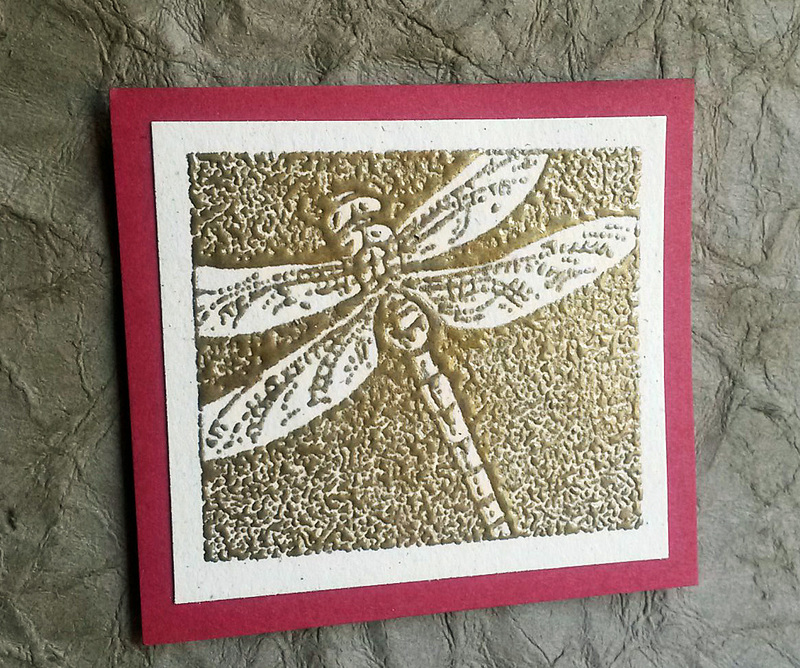 Don't you love the texture of the paper leather behind the embossed dragonfly? 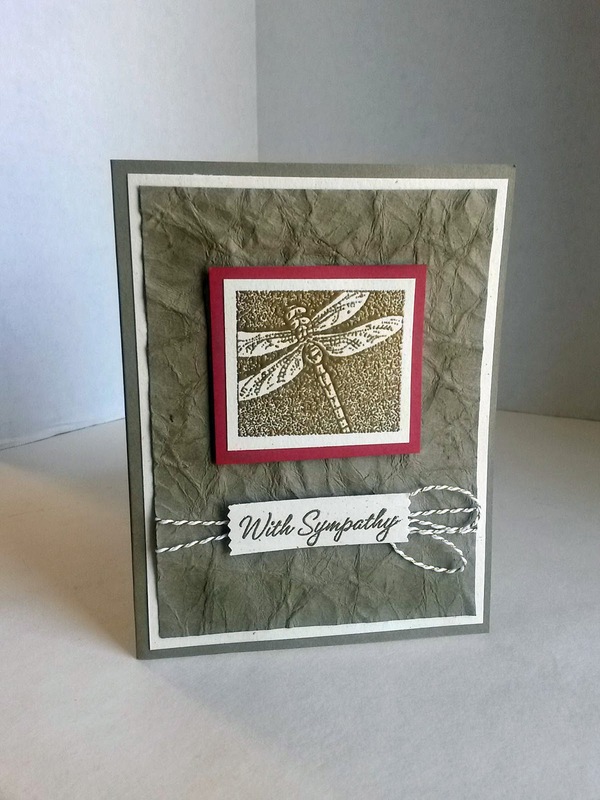 Take a piece of cardstock in whatever color you wish. Maybe start with a half sheet or a little less. That's what I did for my card. Then, after it is all done, you can cut it to the size you need, using the portion that looks the best and the most leather-like. After crushing, unfold it, and re-crush. Keep doing this until you have a nice leathery look. I even crumpled in a few choice places where I thought it could use a little more love. I let mine dry naturally. But, when it was still just a tad damp, I hit it with my heat tool. Then I spent some time flattening it with my hands. I don't know if ironing it would flatten the texture too much. But I was able to do the job just by smoothing it with my hands. I then sponged over the raised portions of the "leather" with ink that matched the paper. This gives it just a bit more definition. Since you won't be able to get it completely flat, be sure to adhere it well to another piece of cardstock. Never heard of this paper leather technique but it looks so nice! Thanks for sharing at #WednesdayAIMLinkParty. I shared it on social media. Oh, I adore the paper leather! 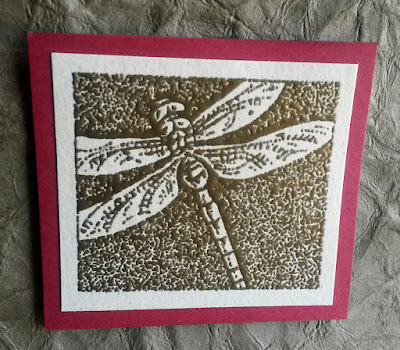 (As I mentioned in your other post, I love dragonflies, so this is perfect!) You're so creative! That is quiet an interesting technique for making paper look like leather. Thank you for sharing it with us. Pinning. I covered an entire shoebox with crumpled paper, added some "tacks" along the bottom and the rim, then added a pull handle. It set perfectly on a shelf and looked like a beautiful leather box! Oh my! U adore that idea! I bet it was gorgeous! How cool! That really does look like leather! Thanks for sharing on the Pleasures of the NW's DIY party! It really looks like leather. Really cool technique! Thank you for sharing at Ravenwould! I love that look! Very cool technique. I know I've learned this in the past but I had forgotten about it. Pinned. WHat a great technique! So many uses for it too. Thanks for sharing! Linda, Thanks so much for sharing this technique. Makes me want to try this on a project too! Appreciate it. Pinned to share. This is such an interesting techinque. 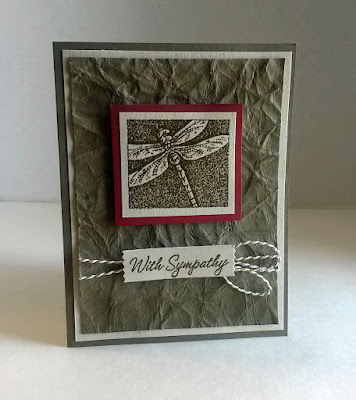 I don't make cards but I do craft so I am already thinking of ideas to use this. Love this technique. Your post will be one of my features at http://www.fabifabu.com/2017/03/26/inspiration-galore-project-party. Hope to see you next week! Great technique and I'd love to try it! Thanks, everyone, for your wonderful comments on this technique! I am so happy you all liked it -- and lots of you want to give it a try. Yayyy! I can't wait to give this technique a try. Thanks so much for sharing at the #happynowlinkup! Love this technique. Thanks for sharing at Over The Moon Party. Hope you come back next week so I can stop by again.